Calling all Red Sox fans. For those of you that are interested in collecting some Red Sox gear, David Ortiz is auctioning off some great stuff this week for charity. With one of the biggest swings in baseball, David Ortiz hit 32 Home Runs in the 2010 Home Run Derby and took home the title. Now, fans and collectors across the country have the opportunity to own the gear used by David Ortiz during the Derby. Showing that he also has one of the biggest hearts in the game, David Ortiz will auction off the bat, cleats and batting gloves he used to make history as the first Red Sox Slugger to hold the title. 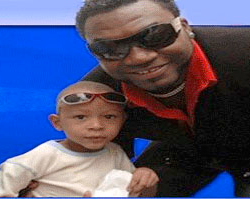 All proceeds raised in the auction will benefit the David Ortiz Children’s Fund, a non-profit organization committed to providing critical pediatric services to children in New England and the Dominican Republic. 0 Response to "David Ortiz Home Run Derby Auction - Ends 7/27"